When Windows 8 was launched back in 2012, I called it the 'hybrid OS' because Microsoft built essentially two operating systems packaged into one bundle. The OS was a complete failure on nearly all fronts for the company and resulted in a change of leadership that has now completed the first release of their vision of the future operating system. The OS, called Windows 10, has been in development for a couple of years and with an open public beta, it truly is the platform that was built by Redmond and shaped by consumers. Windows 10 is unique and while it may look like the desktop you grew up with, it is far more flexible than anything Microsoft has ever built; it's an OS that runs on everything, from your desktop to a phone and even the Xbox One. When Microsoft says that they are now using one OS on all of their devices, they mean it. The core of the OS is now a nimble gazelle that can be applied to any type of modern computing device and the benefits of this are profound for not only the consumer, but Microsoft as well. What Microsoft has done with this OS is removed all the things consumers disliked about Windows 8, repackaged the good features with new mechanics, added a significant number of new features, revamped the UI, sprinkled on a bit of Windows 7 and then piloted this OS with consumers through the Insider program that has surpassed five million users. The result of this work is Windows 10, a brand new OS that feels like yesterday but operates like tomorrow. 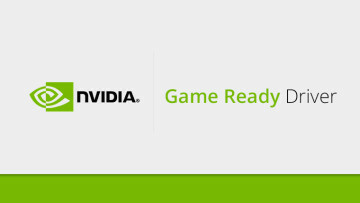 Your first encounter with the OS will likely come in one of two ways, either through the free upgrade for Windows 7 and 8 users, or with the purchase of a new machine. If you are upgrading, you will see the new install interface that features a ring in the center of the screen that shows the progression of the installation and if you buy a new machine, it will start promptly with the new Out Of Box Experience (OOBE). Either way, my installation of the release build went smoothly and I upgraded a Windows 8 machine to Windows 10. After completing the installation, you will find yourself at the desktop that will feel familiar but at the same time new. Microsoft has brought back the Start menu, done away with 'hot corners', killed off the Charms bar and made the desktop in Windows 10 feel very much like the one of Windows 7. You will also be greeted by Cortana, Microsoft's digital assistant that will soon help you be more productive and make your life a bit easier. The interface has also been heavily updated. The taskbar now has a dark theme, the icons in the system tray are now black and white and the interface, generally speaking, has a more modern feel and polish to it. 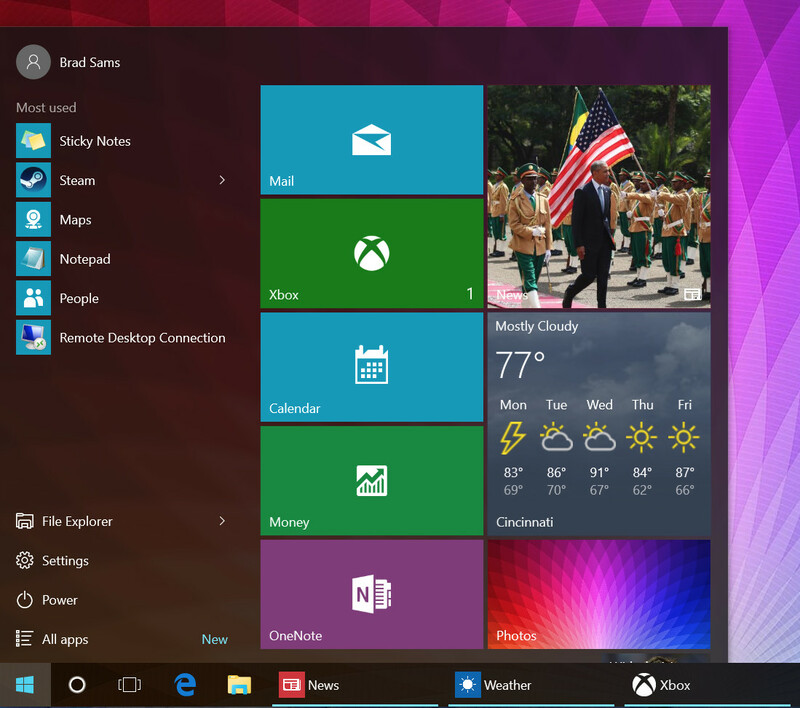 And if you don't like the color of the OS, Windows 10 allows you to adjust the appearance easily too. You can change the color of the taskbar in the settings by choosing a new accent color and while they do not give you a full color wheel to choose from, there are 48 different options. This is a completely superfluous feature but it's one that most users will likely enjoy. For me, I personally switch up my accent color to match my wallpaper but I suspect most will stick with the default color options. The Start menu has been updated from the one you're used to in Windows 7, in Windows 10, Microsoft has the basic elements like shortcuts to common items like File Explorer and Settings (these are customizable) but there are Live Tiles too. What Live Tiles do is allow you to inject additional content into your Start menu like the weather, news, Twitter as well as creating additional links to apps that provide a richer experience. The live tile integration is the evolution of the Start menu that blends the Windows of yesterday into an OS that is built for desktop and tablet users. It's a logical step forward for the desktop and one that should appease the billions of users who will use this OS during its lifetime. 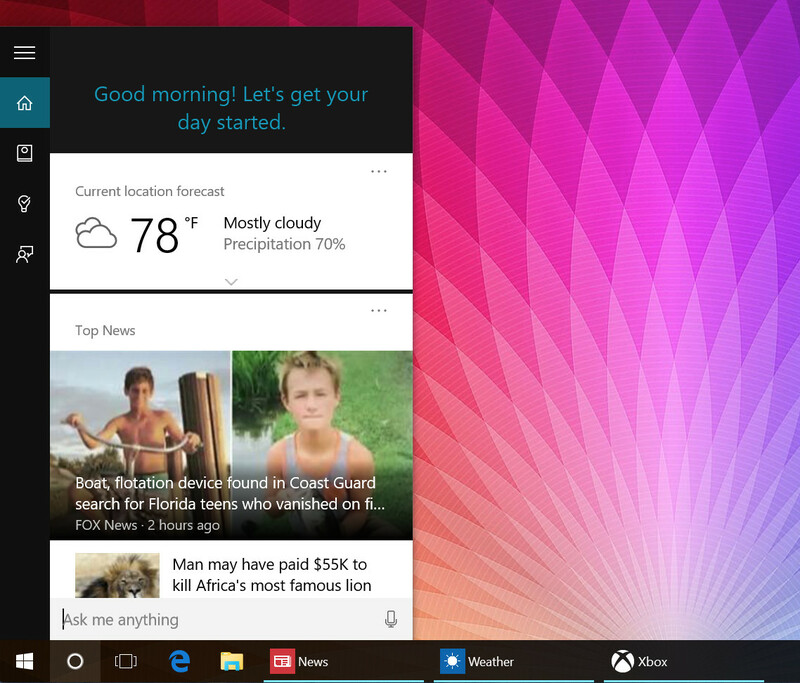 The second big change for consumers with Windows 10 is the introduction of Cortana. The personal digital assistant first made its debut on Windows Phone but given what little market share that OS has obtained during the past few years, for the vast majority, Windows 10 will be the first experience with the new feature. When you first boot up the OS, Cortana will ask you to give her permission to interact with your content, to learn your favorite foods and even tell her what you want to be called. Cortana is an entirely opt-in feature and it's one I highly recommend you turn on. While you will be allowing her to learn about you and read some of your email, it's all private, it's not used for marketing purposes and it's strictly for contextual querying. Once you start using Cortana, she becomes the missing component you never knew you needed. If you have an upcoming meeting, Cortana can see this on your calendar and check the traffic for you to make sure you leave on time. Or if there is a severe thunderstorm warning in your area, Cortana lets you know and pulls up the weather too. But more than contextual information, Cortana can do things for you. 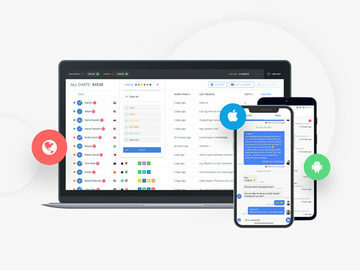 You can have her write your email through voice dictation, she can open an app by simply saying its name, she can set alarms and reminders and a lot more. If Cortana is a new experience for you, go ahead and ask her what she can do. In use, Cortana works very well. She melts into the background of Windows 10 and becomes a tool that you use when needed and fortunately, it never feels forced. While it may take you some time to get used to talking to your computer or having her help you keep your day organized, once you throw yourself into it and become comfortable with the feature, it becomes a vital component of daily flow. For the first time, Windows is starting to feel proactive because of Cortana. No longer is the OS only reacting to your inputs but it's now thinking ahead of you, making sure what you need is at your fingertips. It is worth noting that Cortana is not available everywhere at launch and is only currently avaialbe in U.S., UK, China, France, Italy, Germany and Spain; a few more countries will be added in the near future. When it comes time to browsing the Internet, which will likely be a significant portion of how you use your PC, Microsoft has left no stone unturned. The company is introducing a new browser with Windows 10 and it's called Edge. The reason for this is that Internet Explorer had too much baggage associated with its brand and so the company is starting fresh with Edge, and it's a welcomed change. Edge, which can be launched with the blue E from the taskbar, operates like every other browser you have used. And frankly, unless you know otherwise, it will perform like any other browser despite the fact that Microsoft has done significant work under the hood to make the browser faster. And this is a good thing. 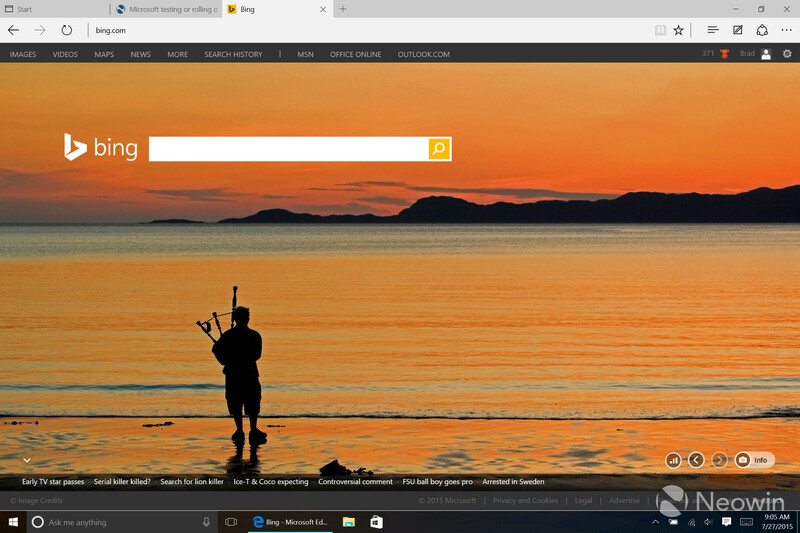 Edge feels quick, works as expected and allows you to browse the web just like Internet Explorer or Chrome. But what separates this browser from the others are things like Cortana integration, the ability to write on webpages with inking support, and a reading mode too. Microsoft is putting Cortana into everything it can think of, so it's not a surprise to see her show up in the browser. And the feature is actually quite helpful too; if you navigate to a restaurant page, Cortana can pull up the menu and opening hours instantly, without any input from you. More than that, if you need the weather for a location, she can return that result right in the nav bar and if you need help defining a word, using contextual content, Cortana can define anything you need with two mouse clicks. 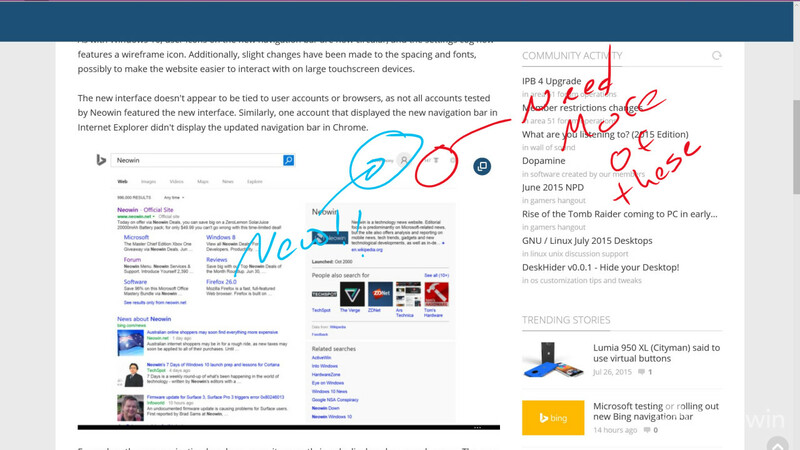 If you have a Surface, you will really like the markup feature that Microsoft calls 'Web notes'. By hitting the button (which can be found in the top right corner), you are given a mini-OneNote experience where you can highlight, annotate and then share the note with anyone. It's a little feature that you will not use every day, but when you do, it's super convenient. I've used it a couple times when helping our developers make adjustments to Neowin and by being able to draw on the page inside of Edge and share it directly to the dev without any other apps, it's a time saving feature. How you will know if Microsoft has done a good job with Edge is if you find yourself using it and not even knowing it's a brand new product from the company. That's the intention - for it to be another tool that doesn't get in the way and lets you browse the web without any issues. But it's not all perfect. One feature missing from the browser, which the company says is coming later this year, is support for extensions. As of the time of launch, Edge is not customizable beyond changing it to a dark theme. It's a bit disappointing that we have to wait for this feature to show up, but at least we know that it is coming, sometime soon-ish. For the power users out there, Microsoft has not forgotten about you this time around. 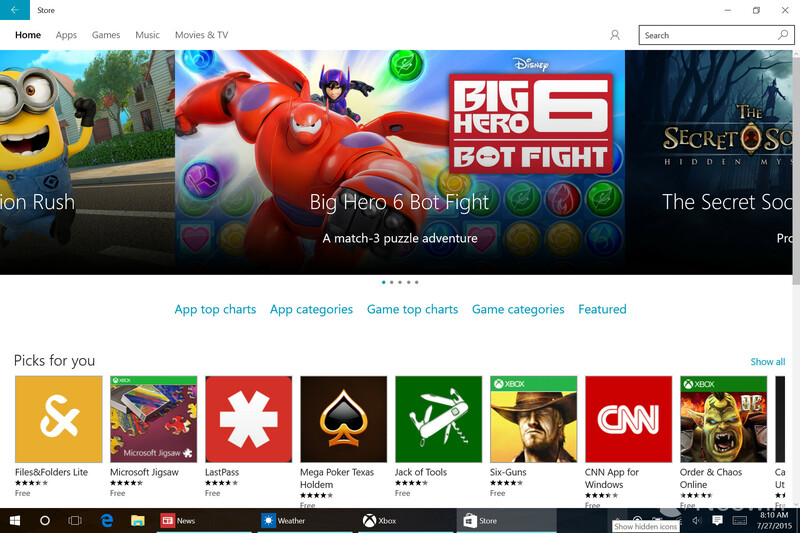 For the power users out there, Microsoft has not forgot about you They have improved the 'snapping' of apps - i.e. easily laying them out on your screen - with a new Snap Assist feature that makes it easier to position apps anywhere you want them, but there is also a new virtual desktop feature. Virtual desktops are something that have been around for a long time (Windows XP even had a plug-in that supported them) and now they are shipping with the OS but it is somewhat hidden. Microsoft pointed out to me that Alt+tab is only used by 6% of Windows users, a shocking stat when you realize how powerful the feature is; to fix this, they created a 'task view' button on the taskbar that allows you to quickly access Alt+tab like functionality with your mouse. Once you click the button (located next to Cortana), the view will show all the open apps and in the bottom right corner, you can add a new desktop. 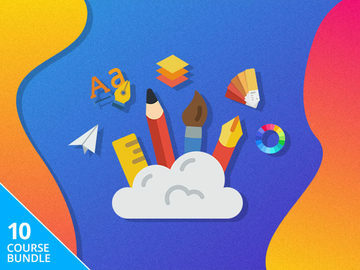 The virtual desktops operate like any other desktop but the benefit comes where you can have one desktop with all your work apps and another with all your fun apps; there is no limit to the number of desktops you can create. This allows you to seperate work from play and can help you be less distracted from IMs and the like. It's a simple addition to the OS and for power users out there who have been asking Microsoft to include this feature in Windows for years, they finally listened. A task that Microsoft undertook -which started with Windows 8 and its picture password - was asking the question: how do we, as a society, move beyond the password? The answer to this is 'Windows Hello', and it comes with Windows 10. Windows Hello is a new authentication mechanism with Windows 10 that supports biometric scanning or, as most of us know it, fingerprints or facial recognition. Windows Hello, with facial recognition, is fantastic. Windows Hello, with facial recognition, is fantastic. If you have hardware that supports the feature - not all webcams do, but you can find a list of supporting hardware here and expect the list to grow rapidly - it takes only a minute to setup and it could save you a few minutes every day when you login. It works by using a camera with a specific set of hardware (infrared support, etc) that can recognize your face and log you in with no input to the machine. Simply walk up to your PC, it recognizes your face, and that's it - you're logged in. And the system is smart, unlike older iterations of this technology on other platforms, it cannot be spoofed by holding up an image of your face. In short, it's a simple to setup feature that improves security and saves you time - a home run for users and IT administrators. And once you are used to having your PC log you in as you walk up to it, going back to a pre-Windows Hello machine feels like going back in time. After Windows Hello logs you in, Microsoft has another time-saving feature that has been popular on other platforms for some time with Windows 10: a notification center. Microsoft formally calls this the 'Action Center', much like they do on Windows Phone 8.1, and as the name implies, it helps you keep all the notifications sorted and easily accessible. 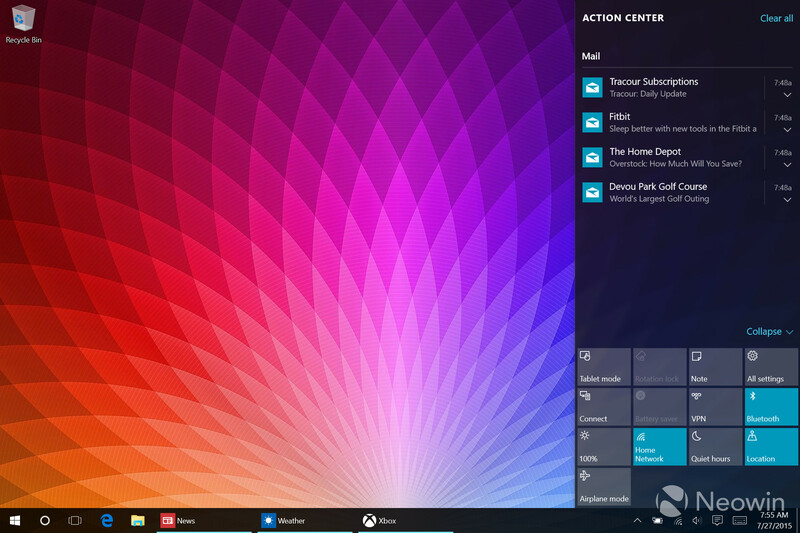 Action Center can be opened by clicking on the chat bubble-style icon in the system tray or on a touch PC by sliding in from the right edge of the display towards the center. Once open, you will see all of your recent notifications neatly sorted as well as a list of shortcuts to frequently used settings in the lower quarter of the panel. This feature isn't meant to be a revolutionary addition to the OS but its one that solves the issue with Windows 8 where apps would fire a notification and you would have to go look in seven different places trying to figure out what you missed. And there are several new applications that are shipping with Windows 10 such as Groove and Phone Companion. Groove is not exactly new, it's a rebranded version of Xbox Music but it is premium product much like Spotify or Apple Music. More notably, the Phone Companion app is Microsoft's new hub for making sure your smartphone, no matter the OS, works with Windows 10. If you plug your iPhone or Android phone into your PC and open Phone Companion, the app will help you sync all your desktop content to your phone using various apps the company has developed (OneDrive, Groove Music, Outlook, etc). It's a simple addition to the OS but one that will make it easier for new users to adopt Windows 10 and integrate its services with their smartphone. If you find yourself looking for more apps than what ships with your Windows 10 device, or if the millions of 'classic' Windows applications don't fit your needs, Microsoft has overhauled the Windows Store. The store, which is where you can get apps, and buy music or videos, is Microsoft's one-stop shop for all things Windows 10. No longer do they have separate stores for content but now under one roof you can find everything from desktop apps to phone apps. The store has been overhauled in more ways than just visual flair. It is now easier to filter and sort content and in addition, Microsoft removed a bunch of the crap apps that polluted the store as well. And when it comes time to use your mouse/keyboard or touch with the new apps, Microsoft has finally figured out the ideal solution for bridging this gap. 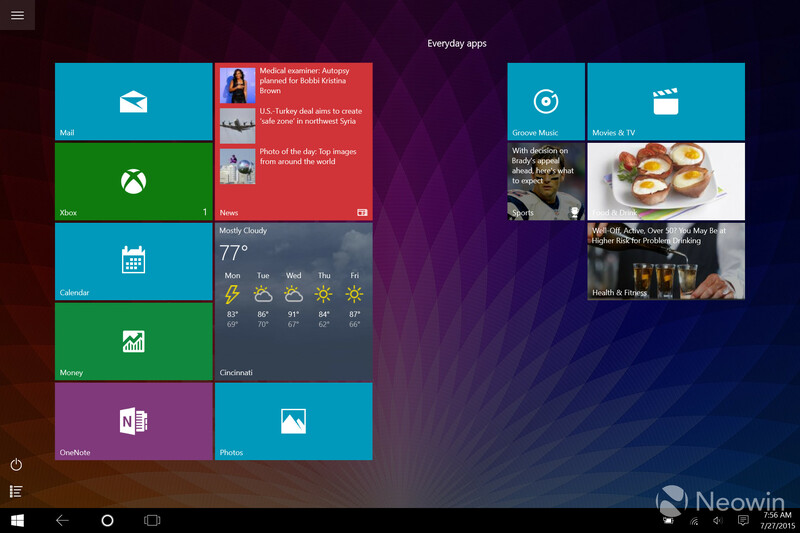 With Windows 8, Microsoft tried to combine the desktop and tablet support into two distinct environments. With Windows 10, that line is blurred and in practice, it works much better with their new setup. Here's how it works: Microsoft now uses the Live Tile portion of the full Start screen as the tablet mode when you are using a device that is designed for touch only (a tablet). At the same time, they simplify the task bar, make scrolling through apps finger friendly and with improved gesture support, tablet mode works quite well. Also, if you have a device like a Surface or any of the popular 2-in-1s, when you disconnect the keyboard, Windows 10 will prompt you to switch to the tablet mode automatically. This makes it easier to use your convertible and continue working without having to jump through different hoops to find the right interface as the OS can now automatically switch modes on the fly. In practice, it works quite well. While some may desire the Windows 8 design over Windows 10, as a package, Windows 10 handles the multi-environment role much better than Windows 8 did and is a step in the right direction; once you adjust to the new layout. 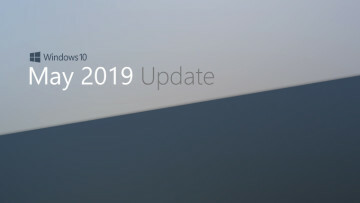 Finally, the biggest change Microsoft is making to Windows 10 is one that you will not notice at all; they have a new model for servicing the OS. You may have heard the term 'Windows as a Service' and while many jumped to the conclusion that this means on-going payments to Microsoft, that is not correct. Windows as a Service (WaaS) means that Microsoft is now able to deliver new updates, including new features, at a more frequent rate than they had done in the past. This means that the Windows 10 you see today will evolve continuously during its lifecycle with new features, rather than relying on major Windows releases every three years. And this is a good thing as it allows Microsoft to react quickly to market needs, and the actions of its competitors, updating the OS regularly based on consumer feedback, rather than releasing 'heavy' updates every few years. Windows 10 is a nimble beast compared to its predecessors which will pay dividends for Microsoft and the consumer going forward. Windows 10 is an OS with a bright future and even if it's not absolutely perfect today, its new features make a compelling argument for you to upgrade. Microsoft has rectified most of the issues of the past and brought the desktop back to the future with Live Tiles, Cortana, Action Center, a new browser and a theme that the user can easily customize. And it’s only going to get better. 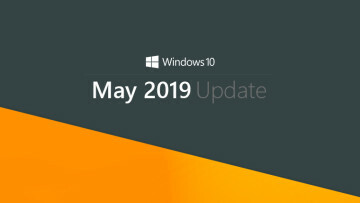 With the Windows as a Service model, the company can continuously update with new features and seeing as the OS will arrive on the phone and Xbox in a few months, the ecosystem around the OS will be expanding significantly as the year progresses. The OS is free, if you have a Windows 7 or 8 license, and there is a very small learning curve to Windows 10. Because the Start menu operates a lot like Windows 7, those users will have no issue making the transition and for those currently running Windows 8, you get all the features that should have arrived for that platform. Windows 10, even at release, is an improvement for any Windows user, but if you are hesitant about trusting Microsoft again, check out the OS at a local store and you’ll quickly see that this is the Windows you remember.